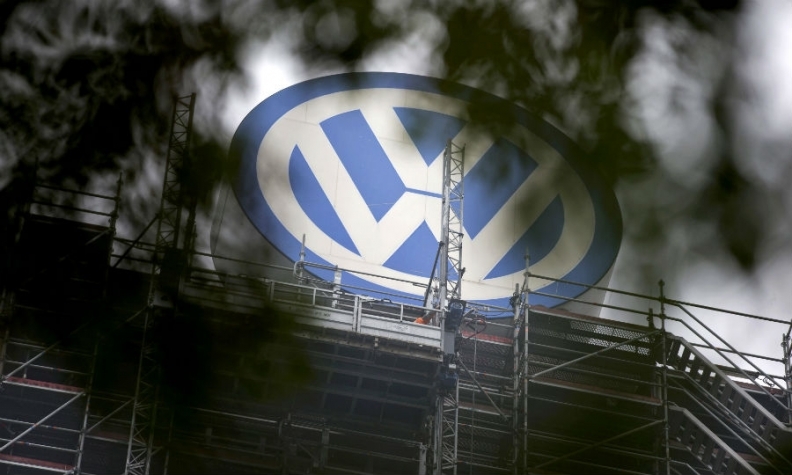 (Reuters) -- Volkswagen made several versions of its "defeat device" software to rig diesel emissions tests, three people familiar with the matter told Reuters, potentially suggesting a complex deception by the automaker. Spokespersons for VW in Europe and the U.S. declined to comment on whether it developed multiple defeat devices, citing ongoing investigations by the company and authorities in both regions. Asked about the number of people who might have known about the cheating, a spokesman at VW headquarters in Wolfsburg, Germany, said: "We are working intensely to investigate who knew what and when, but it's far too early to tell." Some industry experts and analysts said several versions of the defeat device raised the possibility that a range of employees were involved. Software technicians would have needed regular funding and knowledge of engine programs, they said. "The more higher-ups that are involved, the more the company is considered blameworthy and deserving of more serious punishment," Garrett said. In older diesel models, VW used so-called Lean NOx Traps designed to reduce toxic nitrogen oxides in engine exhaust. Starting around 2012, the company introduced a more sophisticated and expensive system called Selective Catalytic Reduction. VW's U.S. chief, Michael Horn, told U.S. lawmakers on Oct. 8 that different software was developed for Europe as well. "Since the standards are different, my understanding is that the defeat devices in those (European) cars are as well," he said, without elaborating. Horn said VW was withdrawing its application for regulatory certification of 2016 diesel models because it contained another software feature that had not been disclosed as required by the authorities. VW has been criticized by some lawmakers and analysts for blaming a small number of individuals for the banned software installed in up to 11 million vehicles worldwide, even while investigations continue. Horn told U.S. lawmakers that he believed "a couple of software engineers" were responsible, while a letter dated Oct. 8 from VW to the European Parliament blamed "the misconduct of a few people." The scandal has wiped around a quarter off its stock market value and forced out its long-time CEO Martin Winterkorn.